Board Certified in Clinical Nutrition (advanced training in holistic care, laboratory testing, and nutrition). Dr. Barkins’ undergraduate degree is from the University of Florida with a Bachelor of Science degree in Occupational Therapy. For 7 years, she worked in clinics and hospitals for adults and children with physical disabilities, psychiatric disorders, and autism. For one year she served as director of a psychiatric day hospital, Yau Ma Tei Polyclinic in Hong Kong.There she designed and ran a children’s unit for autistic and emotionally disturbed children. After those experiences, she became interested in stress release techniques, for healing the body and mind, studying for 9 months in France and Switzerland to become a mediation teacher. 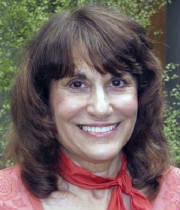 She has taught and lectured on meditation/stress release throughout the U.S.